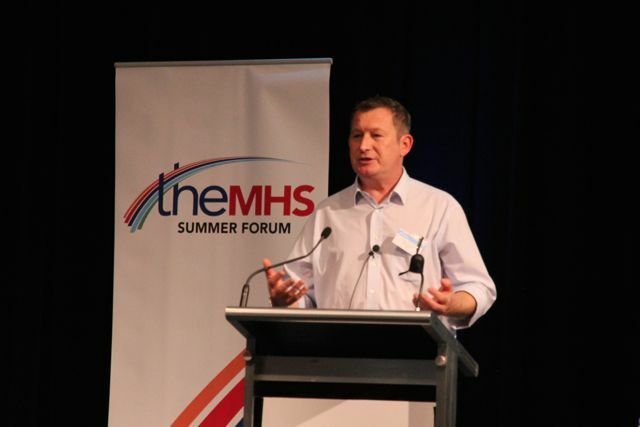 SF 15 Session 3b - Beaver Hudson: Last orders – young men, drunk and disturbed - TheMHS Learning Network Inc. Emergency departments are becoming the focus of psychiatric interventions more than ever before, with 15-34 year olds representing nearly a half of all presentations to emergency departments. In St Vincent’s Hospital over a 5-year period, 1 in 10 of all male presentations were under 20 and 42% under 30 years of age; national data suggest that the most common principal psychiatric diagnoses were disorders due to psychoactive substance use and neurotic, stress related issues. But Beaver Hudson, Service Manager at St Vincent’s Hospital, posed this question: How many young males in distress need to be brought to emergency departments or admitted to Mental Health Units? “The system we have in mental health [care in ED] is much better than it used to be,” said Hudson. Policy changes in the last 20 years have contributed to this. Emergency departments received more funding to provide for mental health nurses (CNCs) in emergency departments to provide the patients with the care they need. This has allowed emergency departments to provide rapid assessment, expedited care, brief admission (48 hours) or transfer to care in community. The impact of the mainstreaming of mental health has accompanied a big rise in mental health presentations. The reasons for this increase are unclear at this point. A significant proportion of young men who are presenting with alcohol and drug problems that are being scheduled under the Mental Health Act. It is common for young males to be arriving with police – combative and distressed. High levels of agitation are hard to reduce in time-pressured emergency departments. Time-poor clinicians have become increasingly reliant on assessment tools to assist them in assessing risk. If a patient does not meet a certain level of risk might not receive treatment. There is a concern that risk assessment tools are guiding the clinicians of today down certain paths e.g. admitting to Mental Health Units rather than thinking collaboratively about appropriate pathways of care. Are we relying too much on risk assessments in emergency departments? Indeed, the experience of being in an emergency department and being scheduled, restrained or secluded may become another trauma for the patient when other settings could have provided more appropriate and less restrictive care. Yet, making the call to discharge a patient means taking a “risk worth taking”. It is important that risk assessment supports good care rather than being used defensively to protect services and reputations. What is the problem? What can be done about it? What would it take to help this patient stop being suicidal? Hudson argues that collaboration and support within and outside the emregency department could help reduce rates or coercive treatments.